In recent times Alertpay has tighten its screws and makes difficult to verify Alertpay account. We already share an article with on how to deposit money into Alertpay account in Pakistan so we decided to create another article on Alertpay payment withdrawal. Unfortunately PayPal is not officially available in Pakistan but one can verify PayPal account too with some trick. Verifying Alertpay account was very easy some years ago, all you have to provide is your ID card and Bill Scan copy and your account was ready to go. After that Alertpay introduces Mobile phone verification and Check withdrawal verification but some how they are not issuing checks any more. So the best option left is to verify your Alertpay account via Payoneer Prepaid Visa Master Card which you can obtain easily when you work with websites like GetAFreelancer, Guru, oDesk, RentACoder, ScriptLance, Elance, 2CheckOut and infolinks. The price of this card is $35 and it will arrive in 35 days in Pakistan. Otherwise if you have already this card in your pocket than you are ready to verify your Alertpay account in minutes. 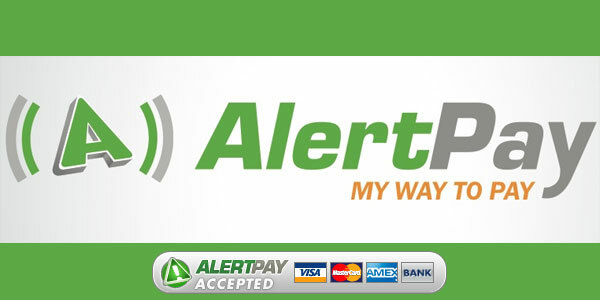 You can also get Alertpay PrePaid Debit Card too. How to Verify Alertpay Account. For this we have to add our Payoneer Prepaid Visa Master Card. Click on Add Credit Card links and you will be presented with a form. Now enter your 16 digit card number, Expiration Date and CSV/CVV number mention at the back side of your Debit card. Make sure that the address in your Alertpay account is the same mention in your Payoneer Prepaid Visa Master Card. After that click Next button Alertpay will ask for license agreement. Just check the I agree check box and click Submit button. Your card should now successfully added to your account. Now you have to start verification process. For this go to verification area and select Credit card you just added. It will again ask for credit card validation and Alertpay will send a small amount in your account with verification code. Please note that this transaction takes 2 to 3 business days. This was the first phase of our account verification and now you move to the next step. Second Part of our Account Verification. After you request the code it should appear in your Payoneer account with-in 3 business days. Now login into your Payoneer Prepaid Visa Master Card account and check for transaction. If the transaction has been done than copy the 4 digit verification code as mention in the picture below and save it. After copy the code logout from this account and login into your Alertpay account. Again visit the verification area in your Alertpay account and Enter the Credit Card code you just copied in the box. Click on Enter Code button and you should see a congratulations message on your screen. How to Withdraw Money from Alertpay. The main hurdle to withdraw money from your Alertpay account was its verification and now you have done that its easy to do that. Just Click on Withdraw link at the top of the page and select Credit card from the list. Select the amount you want to withdraw and click on Withdraw button. Pleas note that this transaction will be completed in 2 to 4 business days and charges for this mode is $5 per transaction.